Neos has selected Xaar’s 5601 printhead as a key component in its delivery of new print systems for a variety of applications such as packaging and decor. Neos is a newly formed company with a well-established inkjet heritage. Based in Modena, Italy, Neos is the brainchild of Vincenzo Palumbo, well known in the ceramics industry and founder of Projecta Engineering. The company, which employs a number of inkjet specialists with many years’ experience in working with Xaar’s Bulk technology, is developing print systems with the Thin Film Silicon MEMS Xaar 5601 for applications such as packaging and decor. 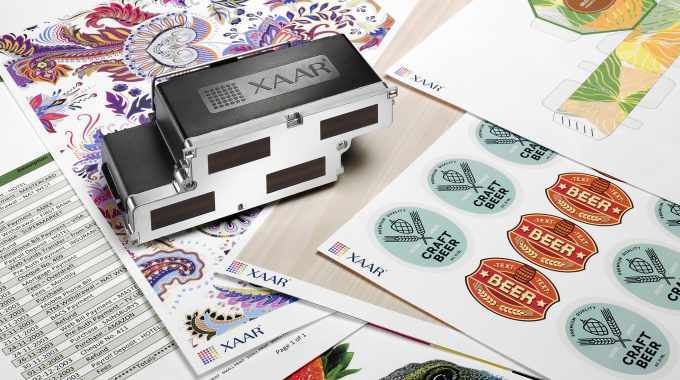 In order to determine whether the Xaar 5601 would be the right printhead to meet the needs of the markets it is looking to serve, Neos used the Xaar 5601 dedicated multi-color evaluation kit, which enabled it to rapidly produce multi-color print samples, and assess print quality and reliability. In addition, to help with reducing the development time in order to get to market quickly, Neos has used the Xaar 5601 head management card (HMC) jointly provided by Xaar and Global Inkjet Systems, which helps to unlock the full capabilities of the printhead.